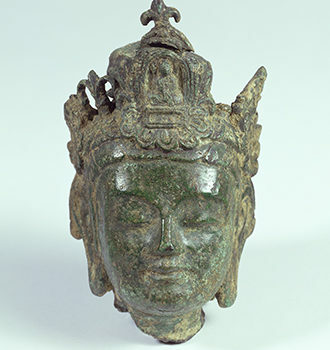 This conference will bring together specialists in archaeology, art and history of early Buddhism and Christianity to explore the adoption of these religions in a comparative context in Japan, Korea and around the North Sea (in particular Britain and Scandinavia). Inspired by discoveries of silk and other exotic items in Anglo-Saxon and Viking graves, objects such as the 5th century bronze Buddha figure discovered at the Viking settlement of Helgo in Sweden, evidence for Nestorian Christianity in China during the Tang dynasty, and the recent discovery of Roman coins from Medieval deposits in Okinawa, and the recent inscription of Okinoshima, known as the ‘Shōsoin of the Sea’ as UNESCO World Heritage, this conference will explore the impact the adoption of new religions had on areas on the fringes of the Silk Roads in the second part of the first millennium AD. The conference is part of the lead-up to an exhibition being developed as part of the UK- Japan Season of Culture at the Sainsbury Centre for Visual Arts, at the University of East Anglia. The exhibition will be held in summer 2020. 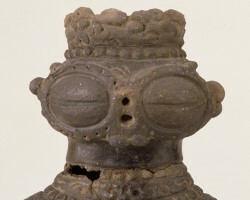 The working title for the project is ‘The Arrival of Belief at the extremities of the Silk Roads: comparing the impact of Buddhism and Christianity on the art and culture of Japan and Britain, 400 – 1000 AD’. The conference is open to the public and is free to attend. The programme can be found here. Please book your seat by email. 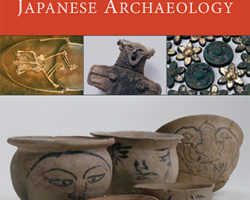 Organised by the Sainsbury Institute for the Study of Japanese Arts and Cultures.